Initially created as a course curriculum for classes in sail vessel operations at the Maine Maritime Academy, this work has been developed to provide a firm foundation for men and women working toward earning U.S. Coast Guard licenses to operate auxiliary-powered sailing yachts and vessels. 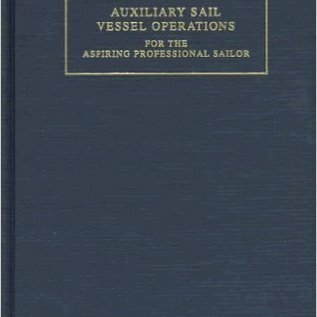 The book addresses seamanship aboard sailing vessels, relevant hydrodynamic and aerodynamic theory, basic and advanced sailing maneuvers, planning and managing for crew and vessel safety, meteorology for sailors, heavy-weather sailing, emergencies at sea, and vessel administration as related to Coast Guard rules and regulations. 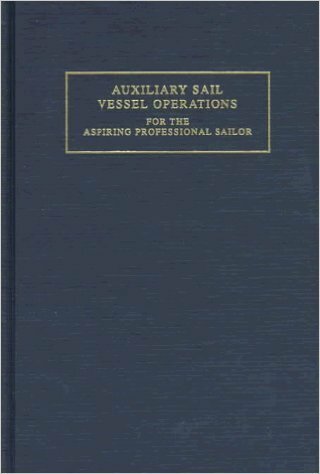 Designed to accompany the sailor as a study guide and point of reference, the work, in both theory and practice, calls attention to the myriad constant and critical elements of professional yacht and vessel management. G. Andy Chase, author of Auxiliary Sail Vessel Operations for the Aspiring Professional Sailor, made his first offshore voyage from the Caribbean to Maine via Bermuda at age ten. At sixteen he worked as a deckboy on a Norwegian merchant ship on a five-month voyage that took him around the world. During that voyage he taught himself celestial navigation and developed an interest in going to sea commercially.Chase graduated from Maine Maritime Academy with a bachelor’s degree in nautical science, an unlimited third mate’s license, and a 100-ton auxiliary sail captain’s license. Over the following eight years, he sailed on a number of merchant ships and sailing vessels. In 1987, he returned to Maine Maritime Academy to teach, and took command of the schooner Bowdoin. He developed a sail-training program for the academy that quickly evolved into an ambitious northern waters sailing program.Chase is now a professor of marine transportation at Maine Maritime. He holds an unlimited master’s license for steam and motor vessels and an auxiliary sail master’s license for vessels up to 1,600 tons.